Best deals and savings on Veterans Day at CARiD! - Ford F150 Forums - Ford F-Series Truck Community. Best deals and savings on Veterans Day at CARiD! For all service members and veterans – you serve and protect our nation and our safety every day. Let us serve you with 10% Military Discount here at CARiD. 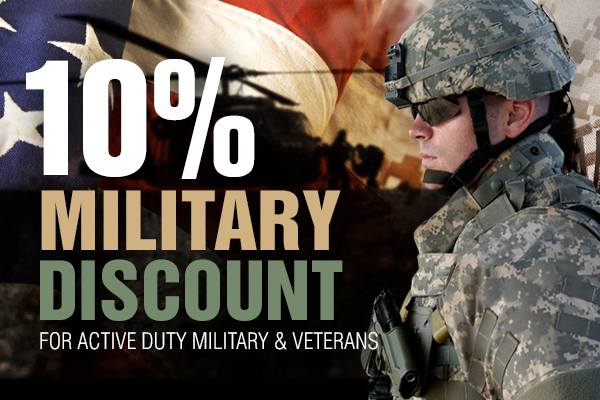 As a part of our commitment, we invite all Active Duty members, Reserves, Veterans and Retirees of the U.S. Air Force, Army, Coast Guard, Marine Corps, Navy, and National Guard to take advantage of this discount. Our great selection of brand name products will ensure success with all your automotive projects We are proud to serve all, who have served. Quick Reply: Best deals and savings on Veterans Day at CARiD!